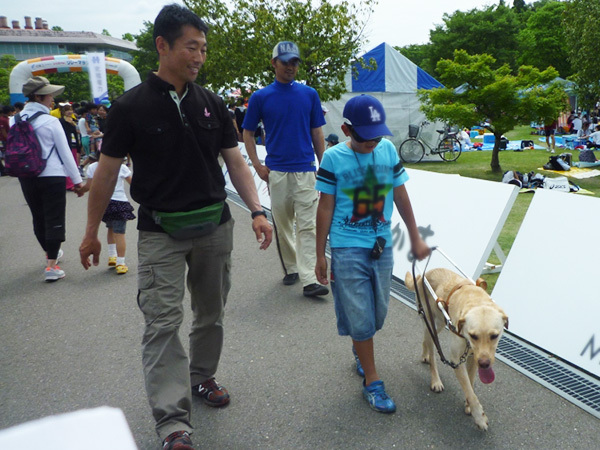 Community | Nichi-Iko Pharmaceutical Co., Ltd.
Support for The Eyemate, Inc.
As part of our social contribution program, since the 40th anniversary of our founding in July 2005, we have continuously supported the guide dog training program run by The Eyemate, Inc. We positioned it as an anniversary program after carefully considering what we could do for those with physical disabilities that cannot be overcome with drugs. 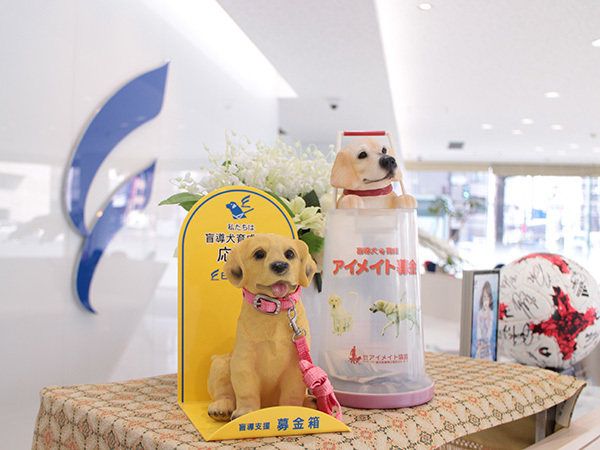 Specifically, we placed a donation box at the Nichi-Iko Toyama headquarters, the Tokyo headquarters, our plants, branches, and group companies. Medical institutions that endorse the Company’s purpose have also installed donation boxes. In addition to that, we have created opportunities to raise people’s awareness regarding the specific activities of The Eyemate, Inc., such as having its staff explain to people the challenges that come with visual impairment, and help people experience those challenges by walking with their eyes covered by an eye mask. 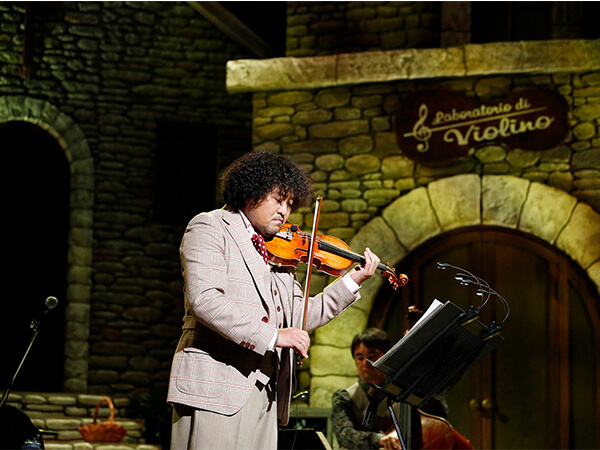 We have been a special sponsor of Taro Hakase’s concert tour since 2012, the year following this world-renowned violinist’s composition of “WITH ONE WISH” shortly after the Great East Japan Earthquake, to encourage the victims of the disaster with an image of Nichi-Iko leaping into the future, supporting them with its creativity. We are the main sponsor for Icchan Relay Marathon since 2012, hosted by KITANIHON BROADCASTING CO.LTD. 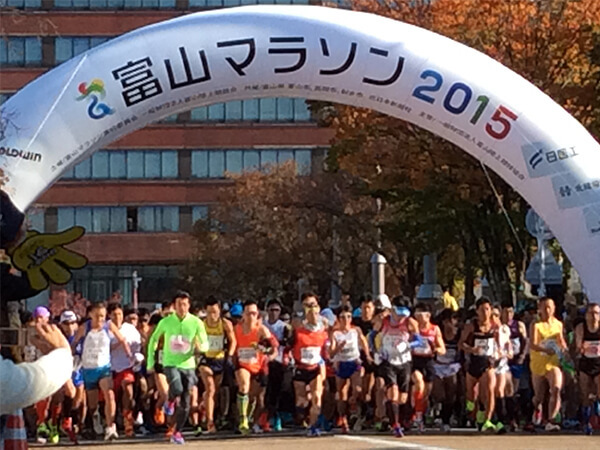 We are a Gold Partner sponsor for Toyama Marathon since 2015, hosted by Toyama prefecture. 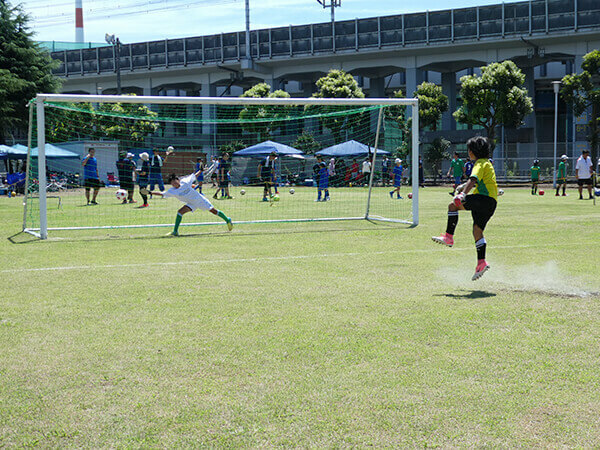 We have hosted this activity since April 2014 on the soccer field within the premises of Toyama Plant with the aim of providing a place where children living in the Namerikawa area of Toyama Prefecture can kick the ball and run around as much as they want. We hope this activity provides children who have vast potential with good encounters and stimulus through soccer. 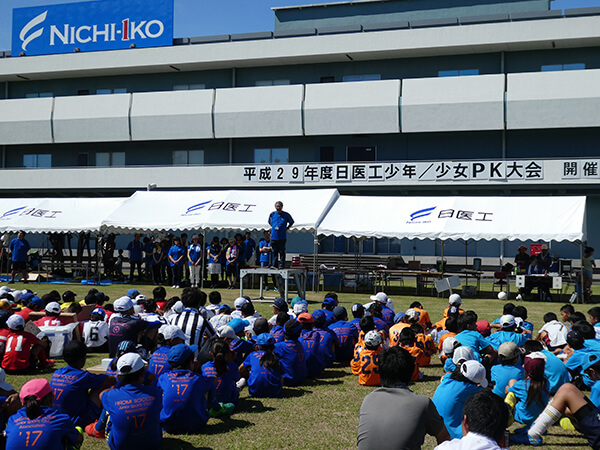 We have opened the field within Shizuoka Plant since 2014 to hold this tournament each August to support many local residents, from children to adults, in living healthy lives. We have also opened the multi-purpose green space within Toyama Plant since August 2017 to hold this tournament. 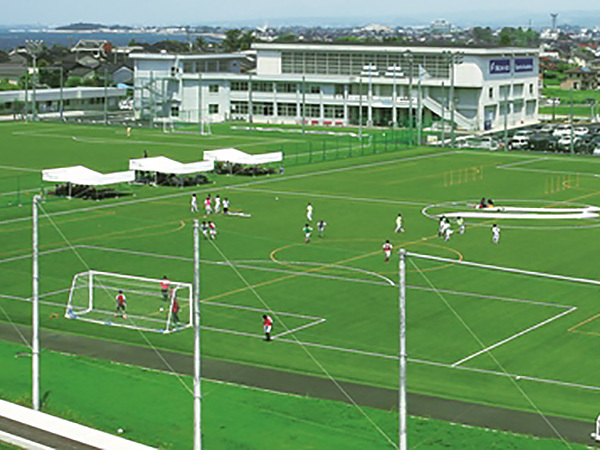 Since April 2014, Toyama site opens its multi-purpose field for local kids in Namerikawa, which we hope to be a good opportunity for kids to enjoy playing with soccer balls and running as much as they can. Also, it is our wish that kids may find friendship and good incentives for their bright futures. Since 2014, we are hosting the championship every August involving local children and adults to promote their healthy livings. The championship started in Shizuoka site, and since August 2017, additionally we are hosting the championship in the Toyama site multi-purpose field. 14-year-old middle school children in Toyama prefecture are all enrolled in this educational program called "14-Year-Old challenge." The program offers work experience as well as reach-out activities outside their school for one week. The program is aimed to educate and train children to become social and disciplined. It also gives a good opportunity for youth to reconsider their own future and lives which we hope to help them make a sound psychological foundation to live healthy lives. 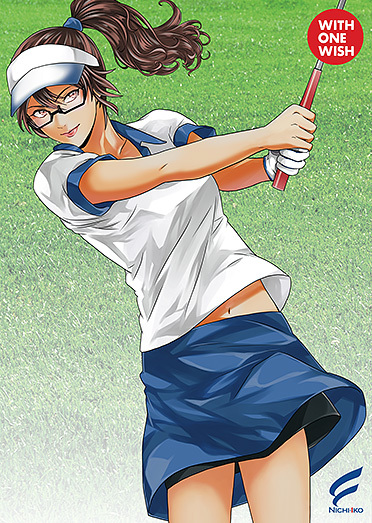 Nichi-Iko is one of the partner companies and hosts the program 2-3 times annually. Also, we give a lecture to 13 years old children, one year ahead of the actual program, about what are the significance of working and connection to society and people.